A limousine with a carbon- fibre chassis and satellite- aided suspension setting, and which parks without the driver being inside deserves to be on the cover of a magazine. And so it is. 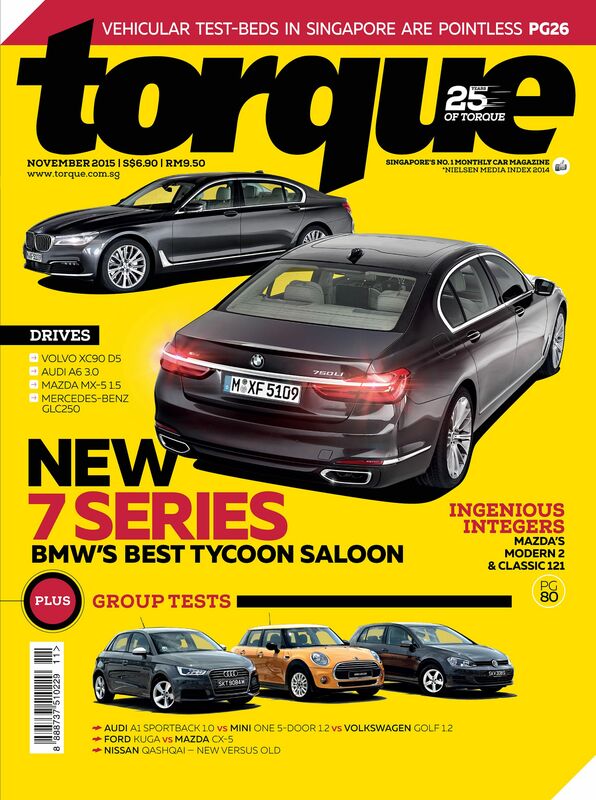 The new BMW 7-series is the star car in the November issue of Torque. Contrasting with the Bavarian barge is a group test that lines up three super-minis: the Audi A1 Sportback 1.0, Mini One 5-Dr 1.2, and Volkswagen Golf 1.2. The month's twin test pits the competent Ford Kuga against the sporty Mazda CX-5. There is also a comparison between the new Nissan Qashqai and the old one.